Meet native animals you rarely see. 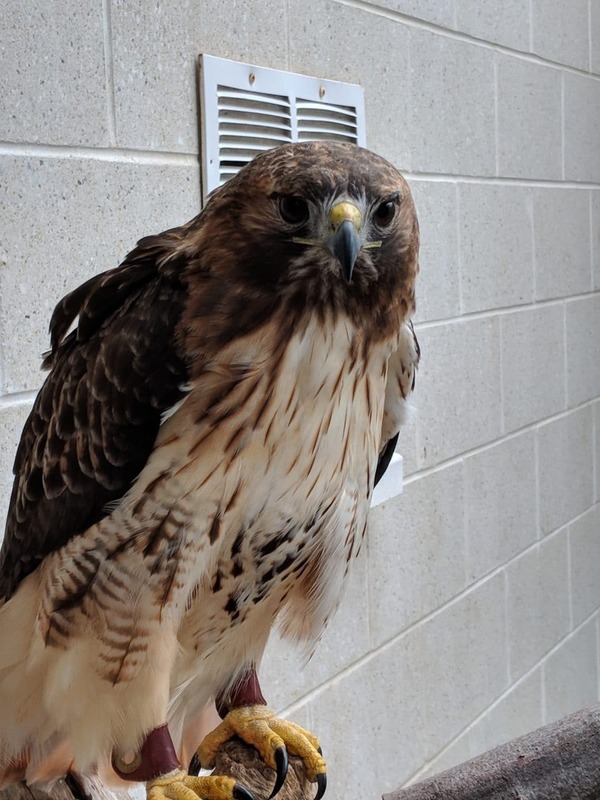 Several have come out of hiding to live in the Animal Corner building on the museum’s Lower Courtyard. Drop by to see our personable porcupine and skunks. 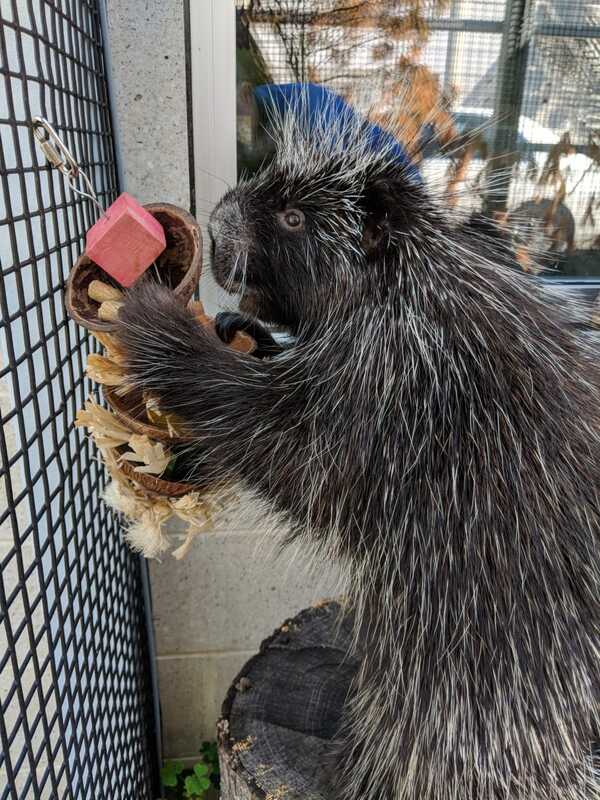 The EcoTarium’s resident porcupine is named Sergeant Pepper and has been with us since 2002. You can often find him up high in his Animal Corner habitat, demonstrating his excellent climbing skills. 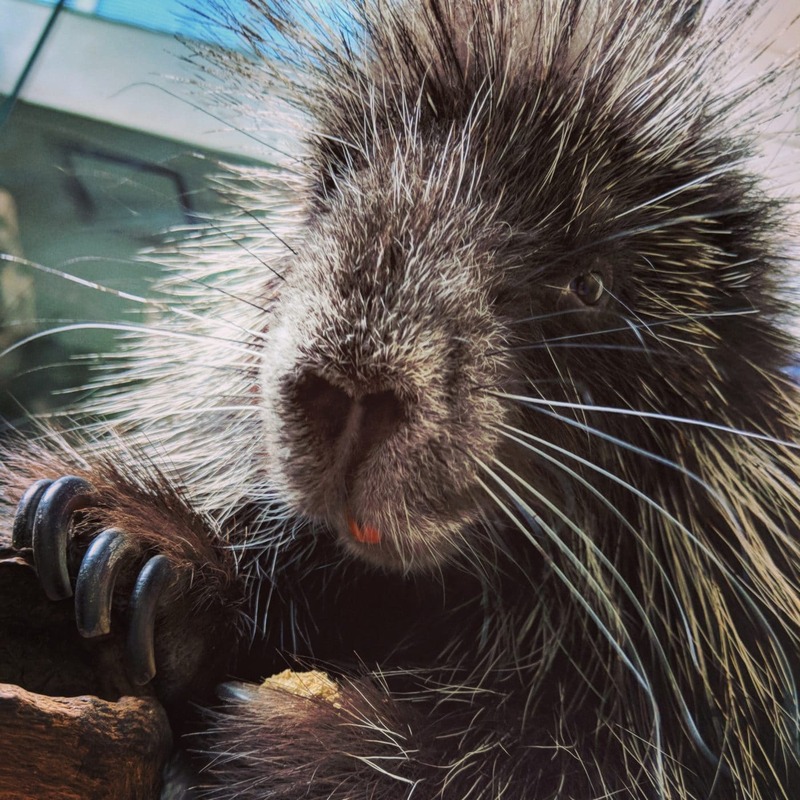 Porcupines are very active in the summer, looking for food to gain weight, but in the winter, they often slow down and go into a hibernation-like state known as torpor. 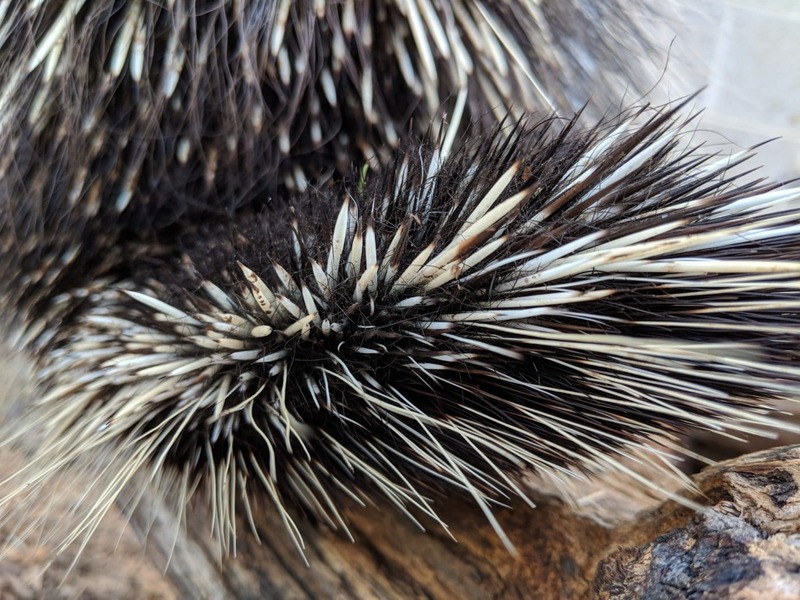 Porcupines have up to 30,000 barbed quills on their body! But don’t worry: contrary to popular belief, they can’t shoot them at you. Porcupines are the second largest rodent in North America, only falling behind beavers. Two skunks live at the EcoTarium, named Stormy and Misty. 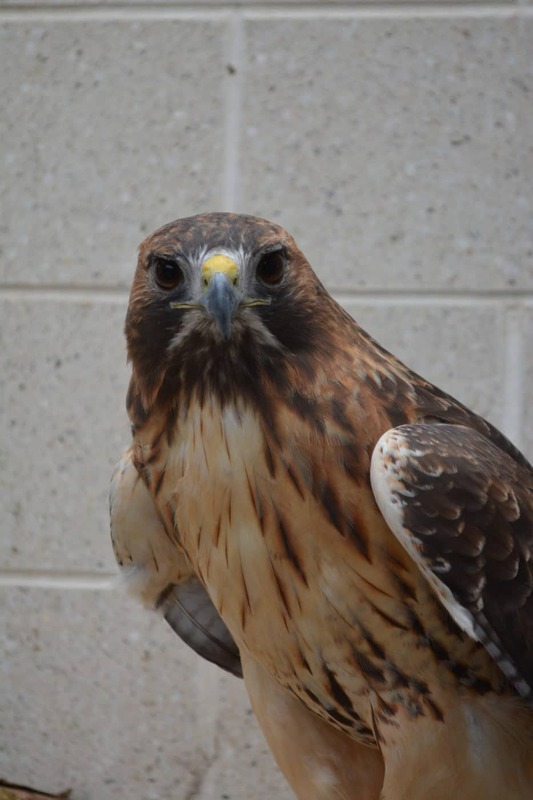 While they mostly live in their Animal Corner habitat, they will sometimes come out for educational programs as well! Skunks are opportunistic omnivores and will eat bugs, grubs, seeds, nuts, roots, vegetables, fruits, eggs, or even human garbage. They have long claws to help them dig and find food. Skunks can spray a foul odor up to 16 feet to help defend themselves against their many predators. Skunks are nocturnal, which means they mostly sleep during the day and wake up at night to look for food. The EcoTarium’s two resident squirrels are named Barb and Nancy. They are most active in their Animal Corner habitat at night, as this species of squirrel is nocturnal. Flying squirrels cannot actually fly, but instead use a flap of skin called a patagium to glide short distances. For every foot a flying squirrel climbs vertically, they can jump and glide three feet horizontally. Flying squirrels will eat a variety of foods as omnivores, including insects, eggs, nuts, seeds, fruits, and vegetables. Flying squirrels live very high in trees and are not often found on the ground in the same way gray or red squirrels are.